Successful organic vegetable gardening requires some long term thinking including planning the preparation of the soil, enriching it and protecting it from the attacks of harmful insects. Growing veg organically differs from the conventional vegetable gardening in two major ways: - usage of fertilizers and pest control. The fertility of the soil depends upon three components: nitrogen, phosphorus and potassium. Nitrogen intensifies the growth of lush green foliage. Phosphorus results in strong roots and stems. Potassium protects the plants from disease and cold. It is required for every plant that stays alive for more than a year. In conventional methods, synthetic fertilizers are used to enrich the soil. Commercial fertilizers are available as a mixture of the three main ingredients. However, in organic vegetable gardening, these nutrients are added in a different manner. Compost is a very good organic way of enriching the soil. Compost can be made easily in pits in your backyard with garden and kitchen refuse. Materials like leaves, lawn cuttings, pine needles, weeds, corn stalk, carrot tops, spoiled fruit and vegetable, animal manure etc. can be used to make good compost. The decomposition of the organic material form bacteria and fungi in the soil. 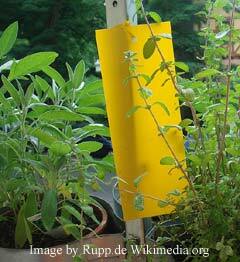 They help in converting unavailable nutrients like nitrogen to ammonia and nitrates, forms usable by the plants. This process is called nitrification. Rock phosphates, natural occurring deposits of phosphorus in combination with calcium, can be mixed with the compost. Natural potassium occurs in substances like wood ashes, tobacco stems, seaweed, potash salts and ground rock potash. They can be also mixed to the compost. This combination will provide a very balance nutrient mix for organic vegetable gardening. The pH scale runs from 0 to 14. 0 indicates extreme acidic, 14 is extreme alkaline and 7 indicates a neutral soil. The most inexpensive and efficient material for raising the pH is ground limestone. Dolomite limestone has an additional ingredient, magnesium, which many soils lack. If the pH of the soil is alkaline, finely ground sulphur is used to lower it. 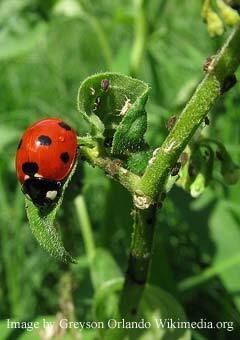 Pest control in organic gardens is done in a different manner and relies on the theory of manageable pest levels. In this, the pests are not completely eradicated but kept at an easily manageable level maintaining the balance. Pest resistant varieties are planted. Natural predators and parasites are used that eat up the harmful insects. Mulch the soil to avoid direct contact with sunlight as the harmful organisms require bright sunlight to grow. These methods using organic vegetable gardening techniques will help in raising a healthy and abundant crop.